With thanks to Yvonne Salt (nee Davy) and Jean McClennon (nee Bailey). Below is an anonymous letter addressed to Mr Mathew Bairstow, Knot House, Crosshills, near Leeds, post marked 4th Jan 1863, from a very unhappy worker. 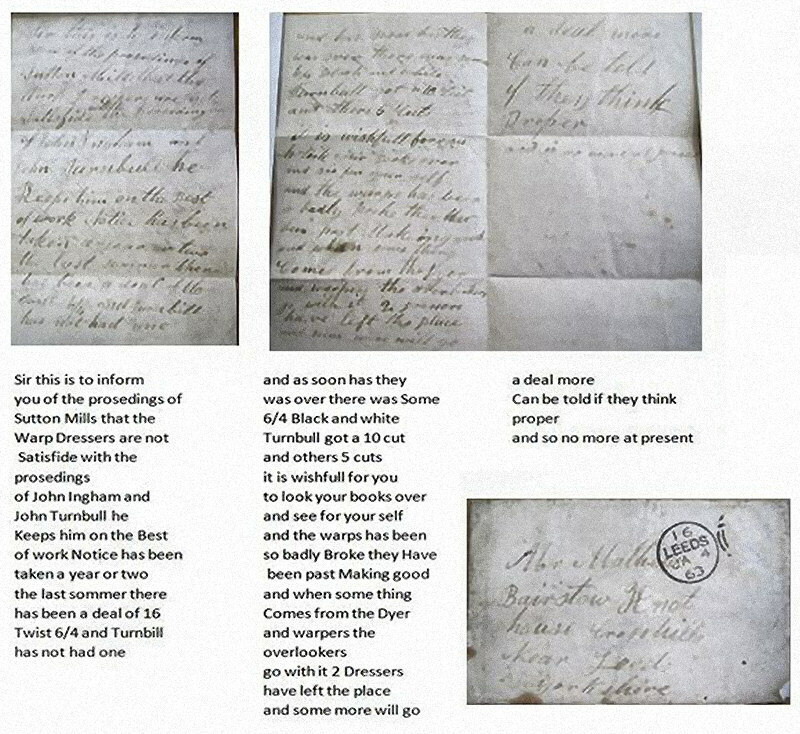 The letter has been transcribed as original � with all the spelling, grammar and punctuation errors retained. We consider it to have have been penned by an educated mill worker of the time. It was found this whilst archive diving through papers under the West Yorkshire Archive Library's Reference WYB24/9. in Bradford.